Posted on August 13, 2014 at 10:53 am. 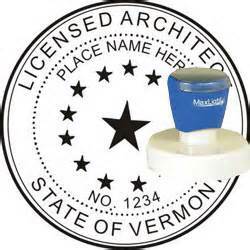 Optimus Architecture now has a license to practice architecture in Vermont. Our state licenses now include: New York, New Jersey, Connecticut, Massachusetts, Maine and Vermont. With NCARB certification and an NCARB file that goes back to 1975, principal architect, David A. Souers, AIA, ACHA, ASHE has been able to establish state registrations and licenses wherever our clients take us.